Our Automatic Number Plate Recognition (ANPR) systems are renowned for their unrivalled accuracy and high-quality performance. Using innovative ANPR technology can help your business effectively monitor car parking, observe vehicle movements whilst maintaining the safety and security of visitors & staff onto your premises. Recent developments in ANPR technology have enhanced the precision of imaging. Producing high-quality images, captured by the ANPR camera allows you to monitor the vehicles on your premises even more effectively. There is a growing demand for ANPR with many customers experiencing multiple benefits after installing these systems. How do ANPR cameras work? The ANPR camera works by capturing a selection of images of an approaching vehicle and storing the images in a database. The vehicle’s registration number is converted into an ASCII (American Standard Code for Information Interchange) code by the software and stored for reference purposes. Multiple images of the vehicle can then be captured, taking the speed and position of the vehicle into account, to guarantee that the number plate has been captured clearly. The clear images of the ANPR camera and the systems’ pioneering technology are what make the automatic number plate recognition system invaluable for your business. 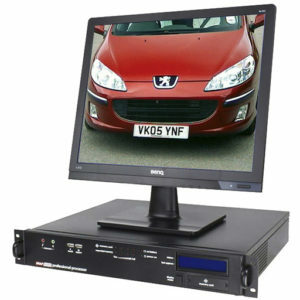 We have a vast range of products available, from automatic number plate recognition cameras and processors to monitors, all designed with your business’ needs in mind. The new and cutting-edge ANPR software in all of our ANPR cameras doesn’t just store records for your business’ reference. It allows you to match vehicle details with stored entries for effective monitoring of your premises. Allowing you to search entries and information from particular dates, times, names or vehicle models. The accuracy and clarity of the images recorded by these systems are reliant on the correct installation of the camera and lens, as well as adequate illumination, configuration, and the camera’s angle. With this in mind, our team of experts are highly knowledgeable in the field and can offer advice and guidance to ensure the system is working at its best for your business. Whether you need to monitor a large-scale area with high levels of traffic or restrict access to particular areas, we pride ourselves on the fact that our ANPR solutions can be suited to businesses of all sizes. Automatic number plate recognition has a range of applications for your business, whether you run an industrial estate, shopping centre, or hotel. With unrivalled accuracy, full graphical reporting, and sophisticated databases, our ANPR software and cameras offer the unbeatable technology you need to protect your premises. 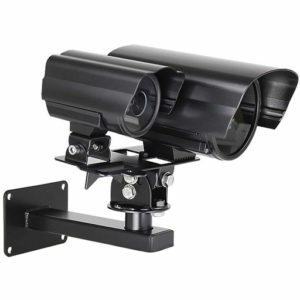 Available at competitive prices, these systems also offer a cost-effective means of offering security to your business and monitoring of your premises. Our ANPR cameras and innovative software offer a wealth of features which make them unrivalled in the field. Offering complete vehicle recognition software, it has never been easier to monitor vehicles, manage car parking or restrict access to certain areas of your premises. Our VNPR systems offer an accuracy rate of 95-98% and can maintain this accuracy when vehicles are moving at speeds of up to 120 miles per hour. With a sophisticated database, unrivalled accuracy rates and innovative technology, our automatic number plate recognition has multiple benefits for your business. Our team of experts use their knowledge of how ANPR works to install and service your system so that it is working at its best for your business. Our team can tailor systems to your business’ needs, so whether you need to monitor car parking or manage high-volume traffic areas, our systems are the perfect solution for your business. If you have any questions about our ANPR systems or want to know more about the benefits that the systems can bring for your business, why not contact us today to find out more.